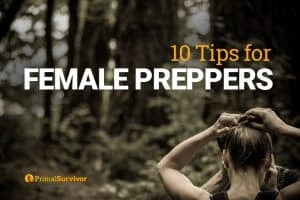 When getting started with emergency preparedness, a lot of people make the mistake of rushing out and buying a lot of non-perishable foods, bottled water, and random gear. But this isn’t a good way to prepare. 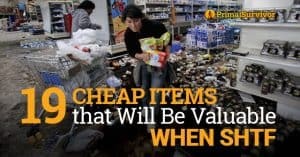 Without an emergency preparedness plan, you will end up wasting a lot of money on supplies which you don’t really need or won’t be able to properly use. 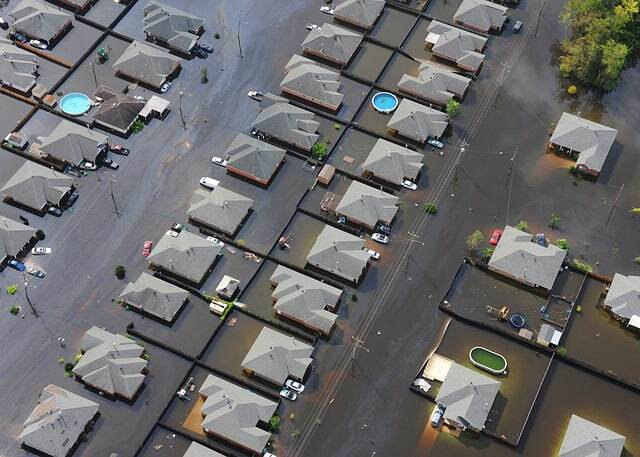 Yes, it can seem overwhelming to prepare for an unknown disaster. You don’t know what is going to hit (will it be an earthquake, hurricane, solar flare…? ), so how do you go about preparing for it??? This emergency preparedness checklist will help you assess your current situation. After taking the assessment, you will be able to see where your strengths and weaknesses are, then make a plan for improving the weak area. *Note that this is a home preparedness assessment. You’ll also want to assess the preparedness level of your workplace, school, vehicle, and eventually your entire community! We will address these issues in reports in the Primal Survivor Members’ Area. For now, start with assessing you home. Click the checklist to get a printable version sent to direct to your inbox. Would this water last your family 3 days? Would this water last your family 30 days? Do you have a renewable source of water available (stream, pond, etc.)? Do you have a means to purify water at home (water purification tablets, beach, filter, etc.)? Do you have enough food stored to last 72 hours? Do you have enough food stored to last 30 days? Do you have a sustainable source of food (garden, aquaponics, chickens, livestock, etc.)? Do you have a method of preserving food (canning, dehydrating, pickling, freeze drying)? Do you have MREs stockpiled? Do you have a storm shelter or bunker? Do you have a perimeter around your home? Do you have a way of barricading doors and windows? Do you have weapons in your home? Are the weapons easily accessible? Has everyone in your household been trained to use them? Do you have a plan for what to do during a home invasion? Have you run a home invasion drill? Do you have two escape routes from your home? Do you have an off-grid lighting method (solar-powered lamps, oil lamps, candles, etc.)? 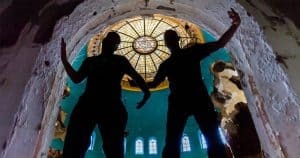 Do you have at least 1000 hours of lighting? Do you have flashlights for each household member? Do you have an alternative way to heat your home (wood stove, propane stove, generator, etc.)? Is there enough fuel to provide heat for 7 days? Do you have an alternative method of cooking food (gas stove, rocket stove, etc.)? Do you have wool blankets and/or sleeping bags for everyone? Do you have items that could be bartered? Do you have hand-operated tools (hammer, screwdriver, ax, etc.)? Do you have repair items (planks of wood, duct tape, nails, etc.)? Do you have heavy-duty gloves? Do you have rain clothing? Do you have an emergency toilet? Do you have disinfectants, such as bleach? 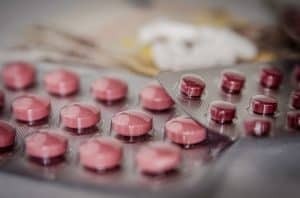 Do you have medications, such as prescription meds and antibiotics? Do you have first aid supplies? Is your Bug Out Bag (aka 72 hour kit) packed? Do you have an emergency communication plan? Do you have two way radios? Do you have an evacuation vehicle? Do you have enough fuel to get to your evacuation location? Do you have an alternative evacuation vehicle, such as a motor bike? Have you practiced your evacuation plan? Have you run a threat assessment? Have you ran drills of your emergency plans? Have you practiced Emergency Conditioning? Have you talked to your children about what to do in an emergency? 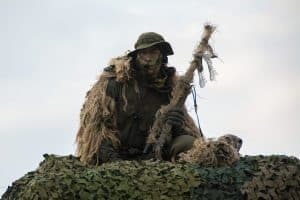 Are there more than five members in your survival group? Do the members of the group collectively know a variety of survival skills? Have you held a community meeting about disaster preparation? Do any members of your group have special medical or physical requirements? Have you made a plan for these requirements, such as stockpiling medicines? 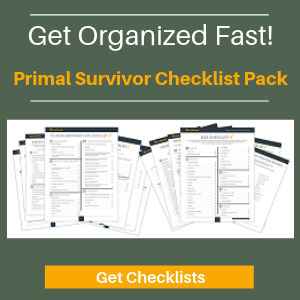 Did you finish with the Disaster Preparedness Checklist? You will need these results to define your preparedness Strengths and Weaknesses. 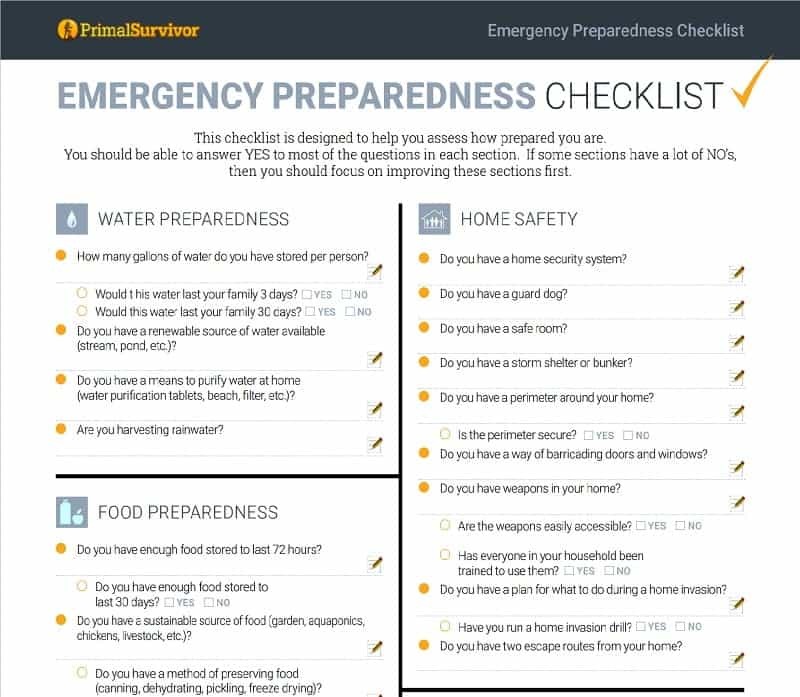 Which areas of the preparedness checklist did you do really well on? These are your strengths. Which areas of the checklist did you have a lot of NO answers? These are your weaknesses. For example, you might find that your pantry is very well stocked with nonperishables so you don’t have to focus too much on that. Or you might realize that you have no alternative method of heating or cooking, thus leaving you very vulnerable to blackouts. Choose one of your weaknesses and fix one or more issues in it. You should now be able to answer “Yes” to those questions in the checklist. Then move on to another weak area. Deciding what to work on first for disaster preparedness can be tricky. Again, don’t rush out and buy a bunch of supplies. 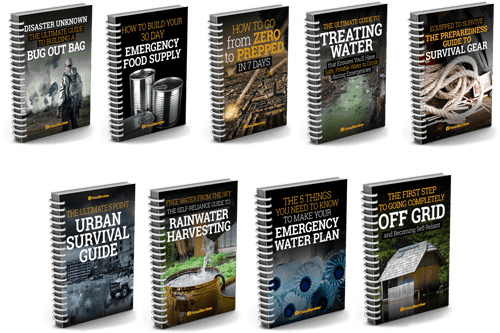 You need a plan for how you go about prepping for disaster and emergency. Fix the easiest and cheapest weaknesses first. Fix the weaknesses which have the biggest impact. For example, it takes a lot of research and money to improve home security. But it doesn’t take much effort or expense to fill up empty milk jugs with water for storage. In just a few hours, you can have an entire 72-hour supply of emergency water. Or you might decide to focus on your Bug Out Bag first. Packing a Bug Out Bag requires careful planning, and you’ll want to spend some money on quality supplies. However, a Bug Out Bag is one of the most important things you can do for disaster preparedness so spending the time and money on it will have a big impact on your level of preparedness. How well did you do on the checklist? Is it mostly YES or NO answers? What are your strong and weak areas?